Set in the 1960s in small town Montana, Joe witnesses the disintegration of the marriage of his once happy parents during tough economic conditions. In his first feature film, Paul Dano has taken on, with the co-writing aid of his partner and fellow actor Zoe Kazan, the Pullitzer-prize winning novelist Richard Ford to tell of a 1960s family who move to a small town in Montana. At first, everything seems peachy. The dad, Jerry, is a handsome, popular guy, madly in love with his wife, who teaches golf locally. The mum, Jeanette, is a stay at home mum, full of ideas and positivity, while Joe is a teen, finding his way at high school and on the cusp of the football team. But scratch the surface, and everything comes tumbling down after Jerry loses his job for being over familiar with members, before turning to the bottle, and then heading off to the hills for months one end to tackle forest fires and reassert his masculinity. Jeanette, meanwhile, abandoned, ends up teaching swimming out of desperation, before spiralling out of control and throwing herself at middle aged (at best) wealthy businessman Warren Miller. Needless to say the situation never recovers sufficiently, and poor young Joe is stuck in the middle as his parents’ lives come crashing down. 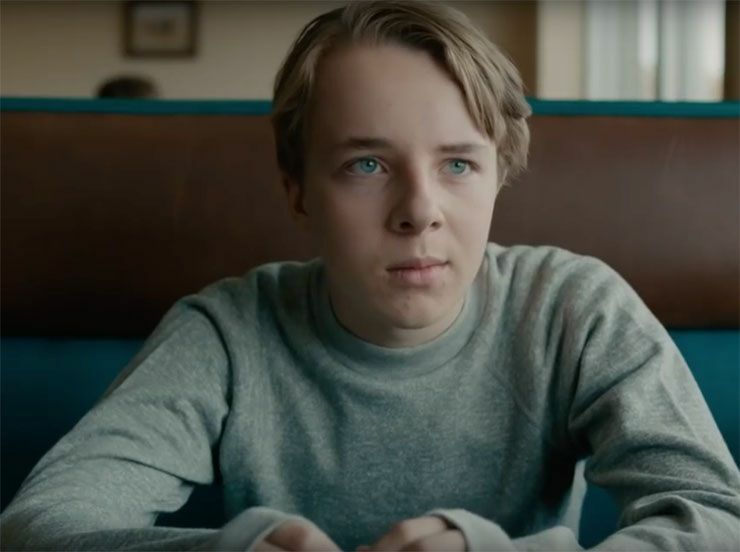 Jake Gyllenhaal gives a wonderful performance as a likeable, upstanding man whose pride takes a massive hit, while Carey Mulligan is sublime as the respectable wife, whose life soon nosedives, but special credit should go to youngster Ed Oxenbould for his turn, which is Dano-esque, as the wide-eyed innocent bystander. Nicely shot, beautifully acted, and well told, this is a fascinating account of a family in a tale spin. In A Nutshell: A fascinating if slightly depressing view of a family falling apart, with three fine lead performances.